On paper, it looked like Laura Harvey had simply inherited a complete team, as if the National Women’s Soccer League powers that be had plucked FC Kansas City, moved them 1,000 miles to the west, and dropped them just outside Salt Lake City, Utah. In reality, it wasn’t quite that simple. While Harvey didn’t face the normal issues of a typical expansion team, the Utah head coach was back in a situation she hadn’t experienced since 2013: coaching an unfamiliar team. She and her players had to learn each other’s styles, tendencies, and wishes, all the while integrating new faces, both before the season and in the middle of it. Despite that, the Utah Royals had a better inaugural season than many predicted, finishing just two points outside of the playoffs. Now, Harvey says, she knows her team. She knows what they can do, and they know what she wants. The key to success in 2019? Creating more chances. Their success in 2018 was on the back of a stout defense, led by Becky Sauerbrunn and Rachel Corsie, who despite working side by side for the first time in Utah formed one of the best central defense partnerships in the league. They had the third-stingiest defense in the league behind only Reign FC and the North Carolina Courage. On the other end of the pitch, a surprising name led the team in scoring: Katie Stengel. Overshadowed on the roster by 2015 World Cup winners Christen Press and Amy Rodriguez, Stengel took advantage of the lack of chemistry between those two players to have her best NWSL season yet, scoring six goals. However, as Harvey points out, Rodriguez was coming off a two-year absence due to pregnancy and an ACL tear, and by the end of the year, she scored in three straight games. She believes that with half-season together under their belt, Press and Rodriguez will become the terrorizing duo up top that Harvey envisions, likely with Stengel to round them out. But it’s the middle of the park that Harvey feels didn’t do as well as they could have in 2018, so she went out and got a former NWSL favorite: Spanish midfielder Vero Boquete. With Boquete’s creativity providing service to the strikers, the hope and plan is that the Royals can improve on last season’s third-worst offense. One bonus to the Boquete signing? Her international career seemingly over, she won’t miss games for the World Cup. With seven players expected to miss numerous games, including both Sauerbrunn and Corsie, Utah is going to have to reach deep. However, it’s a task Harvey believes her bench can handle. From midfielder Gunny Jonsdottir, who scored the first-ever Royals goal, to mid-season acquisition Sam Johnson, to new face Makenzy Doniak, Utah boasts plenty of talent. Will it be enough? I believe that depends on three factors: the health of the back line, the form of Boquete, and a big season from Rodriguez. 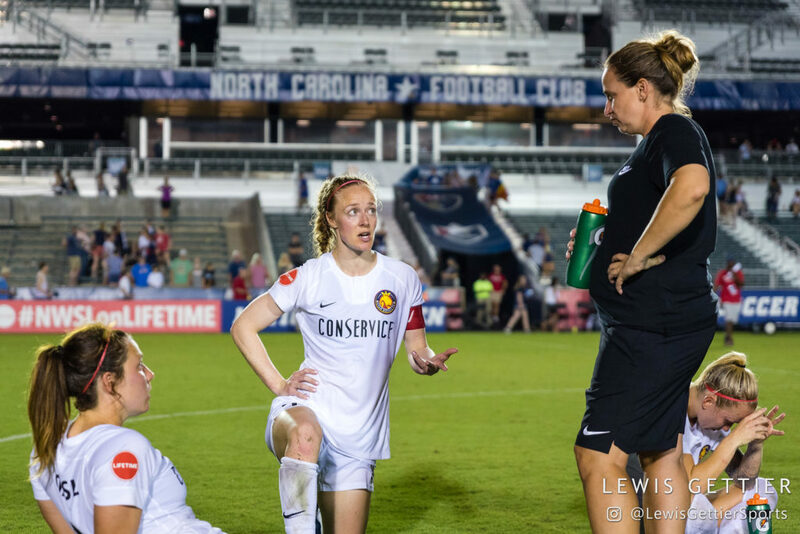 As mentioned earlier, Harvey will be missing her two starting center backs for a portion of the season, along with Kelley O’Hara and occasional fullback Katie Bowen. O’Hara’s health is notably precarious lately; if she doesn’t recover in time for the World Cup, she won’t be playing for Utah anyway. Harvey thinks O’Hara’s best position for Utah is at fullback, although she was forced by necessity, on occasion, to use her elsewhere last season. Reserve defender Sydney Miramontez is currently carrying an injury from her season spent in Australia, although she’s expected to be ready to go soon after the start of the season, if not by opening day. That leaves a core of defenders that is going to be notably thin at times in the season. One or two lingering injuries could be the difference between the playoffs or no postseason at all. 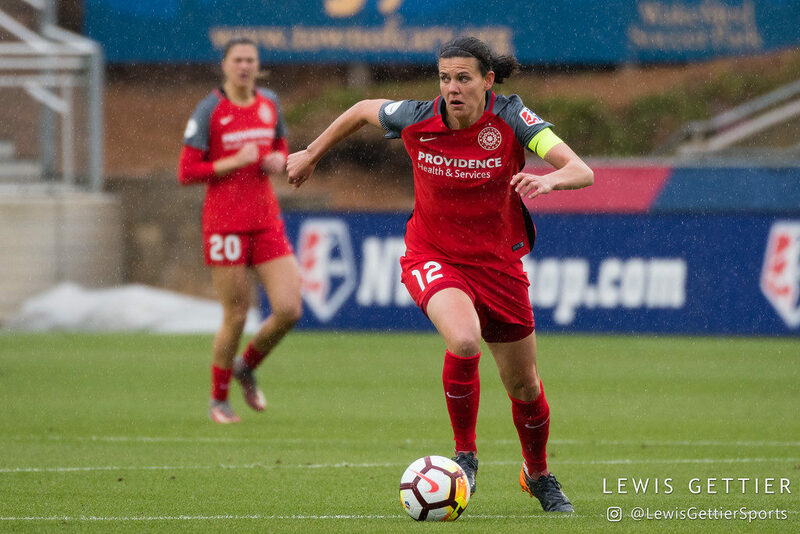 Back to Boquete: She was really good for the Portland Thorns in 2014, but she followed that up with two unsuccessful stints in Europe before spending a year in China, where little is known about the league besides the reportedly high salaries. As she’s expected to be the game-changer for Utah, a lot is riding on her form and chemistry with the team. As for Rodriguez, she’s been one of the best strikers in the league at times, twice stymieing a Harvey-led Reign team in the NWSL championship. We saw flashes of that last season, but we also saw a player who was rusty and who couldn’t get on the same page as Christen Press. Many (myself included) wonder if the two have disparate playing styles, but the team needs them to sort it out. Regardless, Rodriguez will be staying home from her first World Cup since 2007, and she’ll the one the team looks to to put numbers on the board. Stengel, like Miramontez, came back from Australia with a minor injury but is expected to be ready to play soon as well. The Royals should be good this year. They have plenty of talent and a proven coach. The difference between being good and good enough will be determined by how much that talent and that coach can mesh in their second season together.